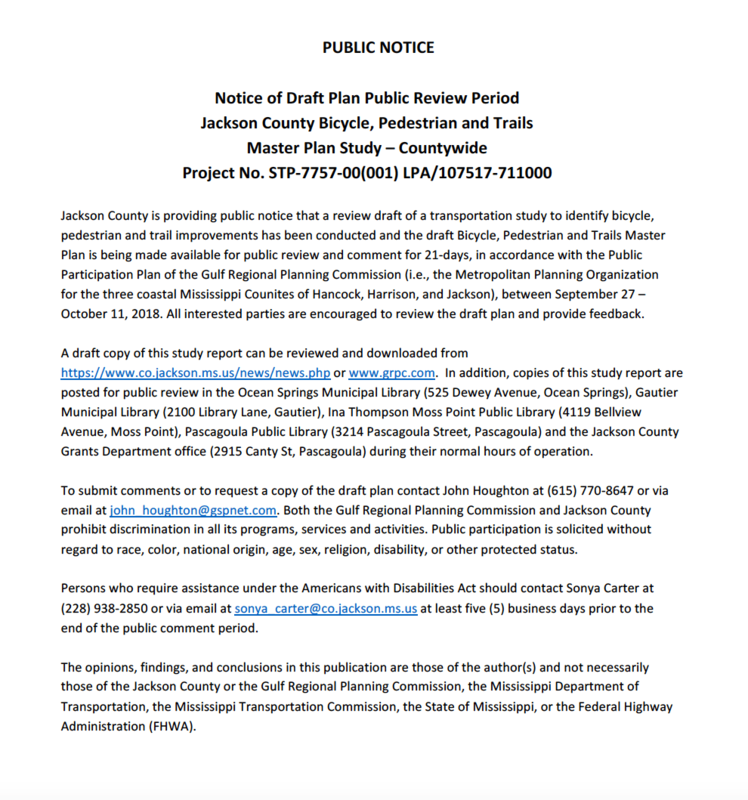 Whenever there are event notices, press releases, fliers, review period dates, scheduled public meetings or other news to share with the Gulf Coast community, we will post those notices here. If none are included below, then there are no notices at this time. If you need to request accessible formats or would like a printed copy of materials, please contact Stephanie at 228-864-1167 or splancich@grpc.com if you have any questions or comments. Thank you. Please help us capture public input on how transportation improvement funds should be invested by participating in these two community surveys.